“For I desire mercy and not sacrifice, and the knowledge of God more than burnt offerings” (Hosea 6:6) are the prophetic words which come to mind as clergy slowly began to arrive for the beginning of the 5th annual Sts. Sebastian and Mardardije Institute on Tuesday, February 26, 2019, the feast day of Saint Simeon the Myrrh-Gusher. 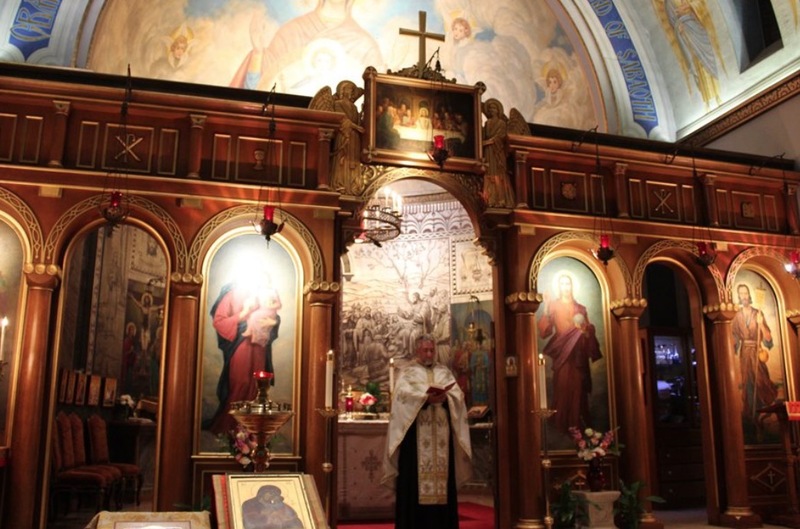 His Grace Bishop Maxim of Western America and St. Steven’s Serbian Orthodox Cathedral in Alhambra, California are host to this year’s event in cooperation with the Episcopal Council of the Serbian Orthodox Church in North and South America. Registration in the late afternoon hours was followed by Vespers served by V. Rev. Protopresybter Stavrophor Dragomir Tuba from the St. Sava Church in Phoenix. V. Rev. Protopresybter Stavrophor Nicholas Ceko, the host priest, welcomed everyone to this year’s event, particularly this year’s speaker, His Grace Bishop Ignatije of Branichevo. Also attending this year’s event were His Grace Bishop Longin of New Gracanica and Midwestern America and His Grace Bishop Mitrophan of Canada. 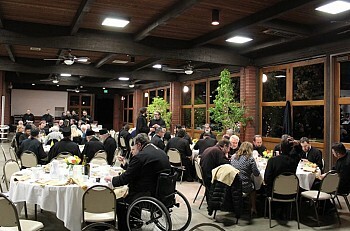 During the dinner served after Vespers president of the Episcopal Council, Bishop Longin, addressed all those in attendance. He spoke of the need for such gatherings which serve for our further education in theological thought which this year is enhanced with the presence of this year’s speaker, renowned contemporary Orthodox theologian, and thinker, Bishop Ignatije, professor of Dogmatic theology at the Faculty of Theology of the University of Belgrade. Bishop Longin also thanked and spoke highly of the host hierarch Bishop Maxim for his enthusiasm and eagerness in organizing these annual gatherings.